Raheem Sterling has been great for Man City this season, but can he perform against Man Utd? Can Raheem Sterling and Ross Barkley shine in their Renault Super Sunday clashes? We look at some of the questions in the Premier League this weekend. 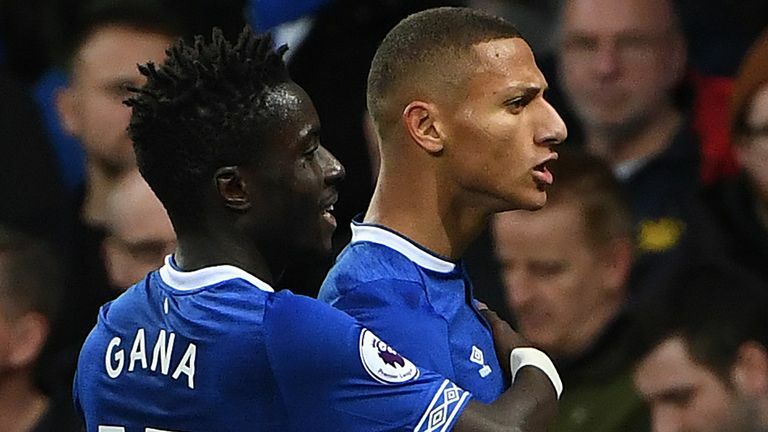 Sterling's Manchester City host local rivals Manchester United live on Sky Sports this Sunday (kick-off 4.30pm), with Chelsea midfielder Barkley also facing his former side Everton (kick-off 2.15pm). Saturday lunchtime also brings us Cardiff's game against Brighton - live on Sky Sports Premier League - and we have cast an eye over some of the potential questions for the upcoming round of games. It has not been a happy hunting ground for Brighton on the road recently. They have won just one of their last 19 Premier League away games (D5 L13), with that victory coming against Newcastle last month. But they could make that two in 20 on Saturday as 33 per cent of their away victories in the top flight have been in Wales, last winning 1-0 against Swansea in November 2017. Cardiff currently occupy 19th spot with five points from their 11 games so far, and are without a clean sheet in their last eight Premier League games, shipping 22 goals in total. Choose your Sky Sports Six-a-Side team for Cardiff v Brighton here. Huddersfield got their first win of the season on Monday Night Football, and another will be in their sights as they play another home game against West Ham. However, they have not scored a goal at the John Smith's Stadium since April, with their winner against Fulham coming from a Timothy Fosu-Mensah own goal and they have not scored more than once in any of their last 21 Premier League games. West Ham are also looking to secure back-to-back Premier League victories for the first time since January 2017 after an entertaining 4-2 victory against Burnley. Predict the score with Soccer Saturday Super 6 for the chance to win £250k. It has been a tough few weeks for Leicester, and they showed exemplary professionalism with a 1-0 win against Cardiff last weekend. After flying to Vichai Srivaddhanaprabha's funeral in Thailand this week, they will play their first game back at the King Power Stadium this weekend since his death. It is sure to be another emotional occasion, and they take on a Burnley side who have lost their last three Premier League games - although two of these have been against Chelsea and Manchester City. While gaining points may still be far from the Foxes' minds as they look to recover from their recent tragedy, Sean Dyche's side will have an eye on the table as they slip closer to a relegation battle. 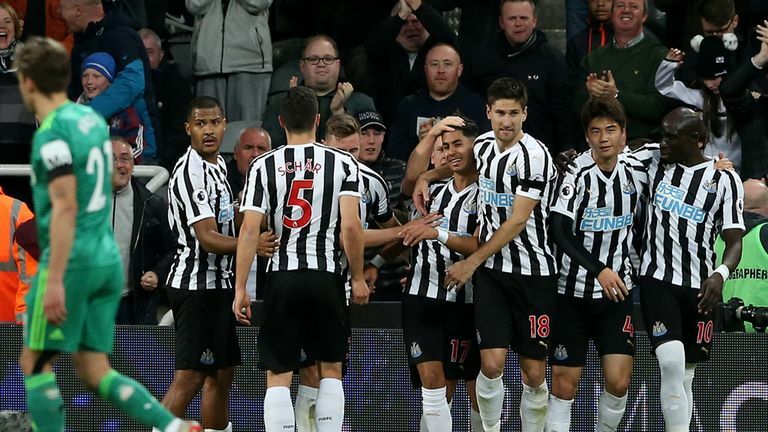 After 10 Premier League games, Newcastle finally got their first three points of the season against Watford last weekend and will be looking to maintain their momentum on Saturday. But they will face a very much in-form Bournemouth, who are currently sixth in the table ahead of Man Utd on goal difference, although they did lose to Jose Mourinho's side last time out. Newcastle have also lost both of their Premier League matches against Bournemouth at St. James' Park - their last home league win against the Cherries was in February 1990. Southampton are just a point above the relegation spots, and are winless in their five Premier League home games this season with Watford heading to St Mary's this weekend. The Saints could make some unwanted history on Saturday, having never failed to win any of their first six at home in a single league season in the top four tiers of English football. For Watford, they are currently having their best start to a Premier League season, with six wins and 19 points from 11 games. Tottenham have enjoyed their recent London derby meetings with Crystal Palace, having beaten the Eagles in their last six Premier League meetings. 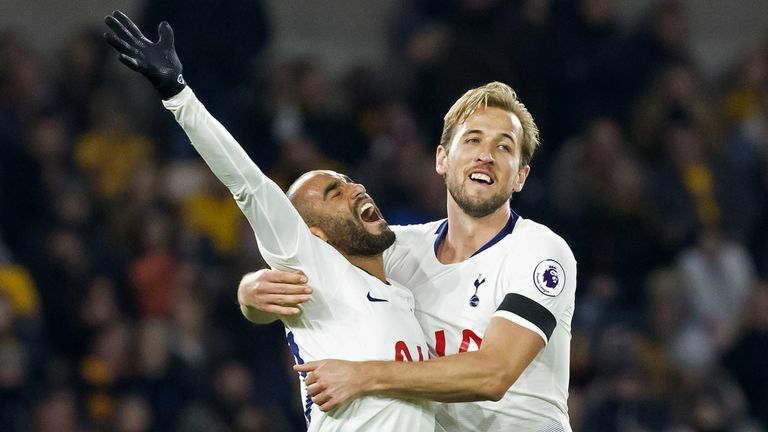 Spurs have also won more away Premier League games in 2018 than any other side (11) and have taken all three points in their last five London derbies in the top flight, giving them plenty to be confident about ahead of Saturday's game. But Crystal Palace have never lost seven consecutive top-flight matches against an opponent - they also lost in a row against Arsenal between 2005 and 2015 - although they are yet to win at Selhurst Park this season. It has been a tough few games for Liverpool, drawing late on with Arsenal last Saturday before being beaten 2-0 by Red Star Belgrade in their midweek Champions League fixture. 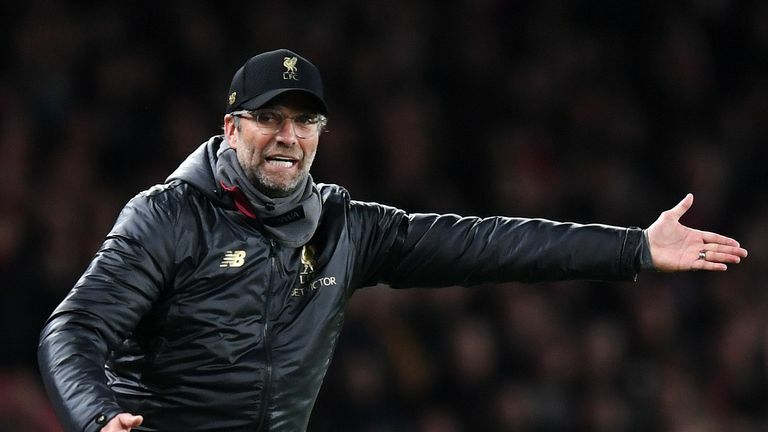 They will be looking to bounce back against a struggling Fulham side, with Liverpool having won all eight home Premier League games under Jurgen Klopp against newly-promoted teams, scoring 25 goals and conceding just three. And Slavisa Jokanovic's side are one of just three teams yet to keep a clean sheet in English league football this season - along with Macclesfield and Sheffield Wednesday - and have managed just one win in their 33 away visits to Liverpool (D9 L23). It has been a good start to the season from Ross Barkley, who said in a recent interview with the London Evening Standard that he "feels like a new signing" for Chelsea after overcoming injury issues following his January 2018 move. 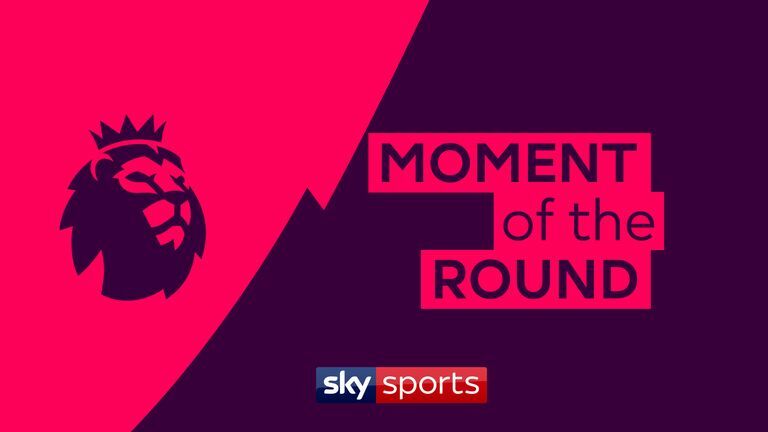 Sunday's game - live on Sky Sports - will mark the first time Barkley faces his boyhood side Everton and will surely be looking to add to his tally of three goals in his last four Premier League games. The signs do point to another Chelsea win too, with Everton having won none of their last 28 visits to Stamford Bridge in all competitions and manager Marco Silva losing all six of his away Premier League matches in London. The England star looks to be on the cusp of a personal best season if he maintains his current form in front of goal for free-flowing Manchester City. Only Mohamed Salah has more goals and assists combined in the Premier League since the start of last season. However, Sterling is still yet to score against Manchester United in the Premier League, attempting 19 shots in 12 games without success. In fact, among players with at least 50 Premier League goals, only Robbie Keane (22) has played more times against the Red Devils without scoring than Sterling. 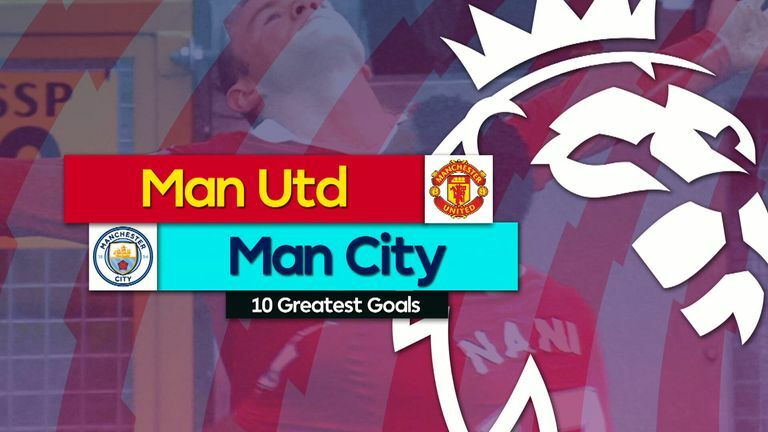 Choose your Sky Sports Six-a-Side team for Man City v Man Utd here. Nuno Espirito Santo's Wolves burst back onto the Premier League scene after being promoted last season, but after a six-game unbeaten run, they have now lost their last three matches as the realities of England's top flight kick in. But their wait for another three points could go on this weekend, with Arsenal unbeaten in their last 19 matches against Wolves in all competitions (W16 D3). 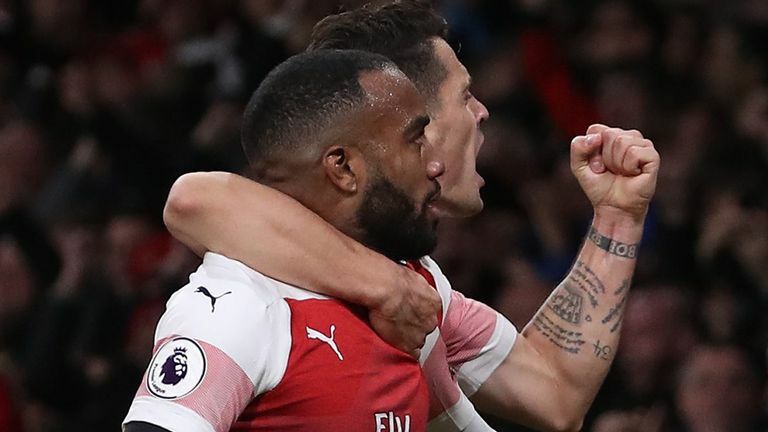 The Gunners are also unbeaten in nine Premier League games (W7 D2) and last went 10 without defeat in the competition in December 2016, when they went 14 games unbeaten.